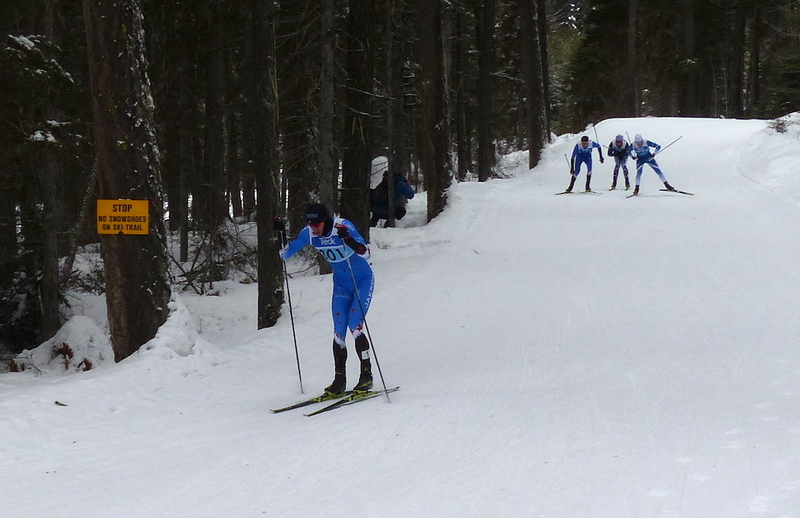 Canadian Western Championships started off Friday with free technique sprints on the Telemark trails near Kelowna, B.C. The sun was out for the qualification round, followed by cloud, and light snow as the day progressed with the temperature hovering at -10C. A major road closure combined with icy morning highways and a large number of accidents blocking roads caused some athletes and volunteers to miss the qualification round, resulting in only 312 athletes on the start line. About 500 athletes are expected to race Saturday. Katie Weaver (RMR) won the 1.3km qualifier in 3:06.02 and her first two heats before Benita Peiffer (Whistler) pipped her at the line to win the A final by 0.10 seconds in 3:02.79. Second place qualifier Elizabeth Elliot (AWCA) took the bronze, 2.77 seconds back. The men raced the same course, with Julien Locke (CNST) steamrolling the field, qualifying first in 2:27.67 before winning all three heats alone. In the A final, Locke clocked 2:28.23, 3.42 seconds ahead of the three chasers. Junior Remi Drolet (Black Jack) stretched ahead of local Gareth Williams (CNST) by 0.03 seconds with Larkin Wasmuth (CRTG) 4th, 0.53 seconds behind Drolet. 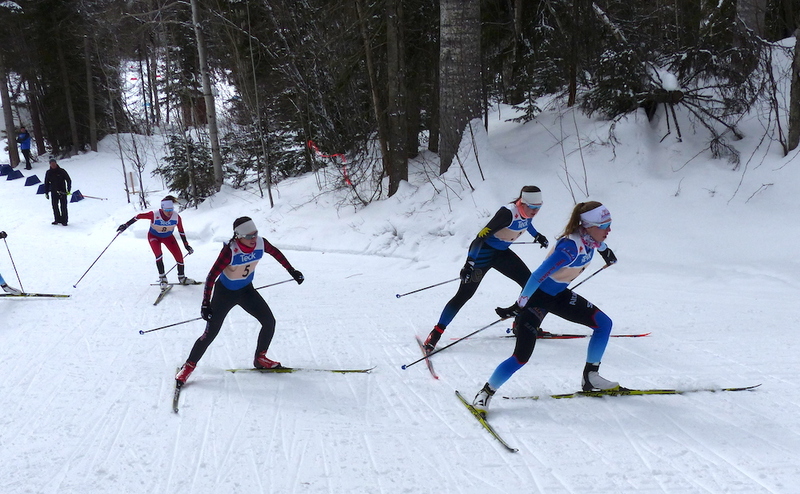 Racing continues with classic mass starts on Saturday and relays on Sunday.